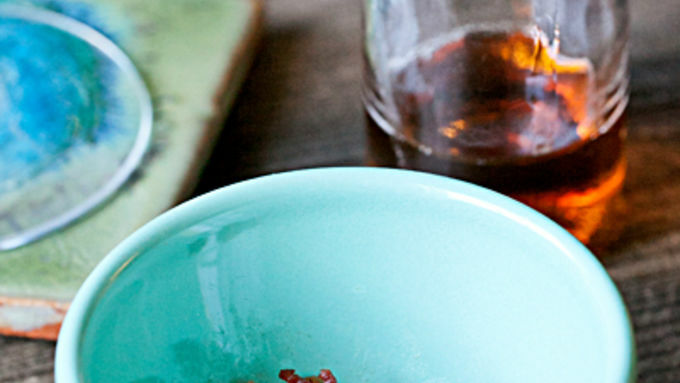 Cook a few pieces of bacon, let them cool, then crumble into small pieces. 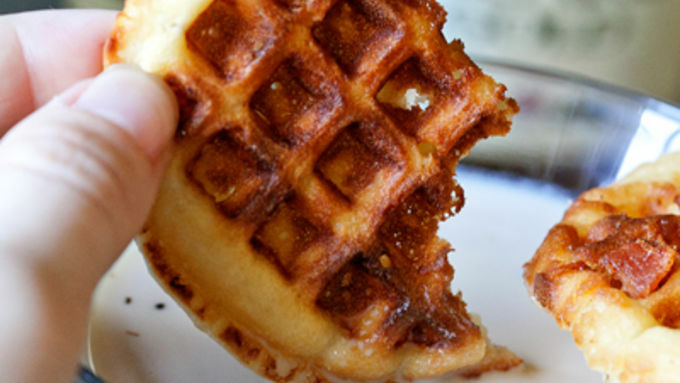 Using the waffle recipe on the back of the Bisquick™ box, make mini waffles to garnish and dip into the cocktail. Add the Irish Cream, milk, rum and maple syrup in a cocktail shaker with ice. 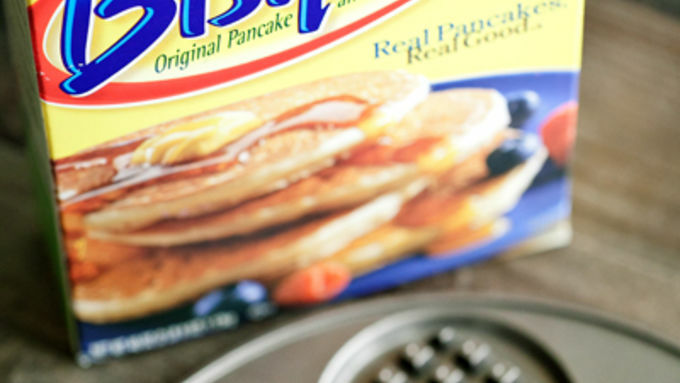 Shake vigorously for a few seconds until ingredients are combined. Strain the cocktail into a martini glass. Sprinkle a few bacon bits on the top. 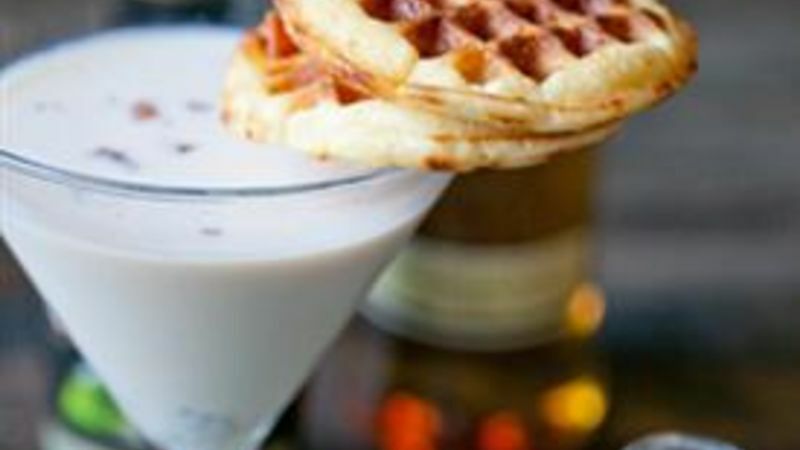 Add two waffles onto a skewer and place in the cocktail to garnish. 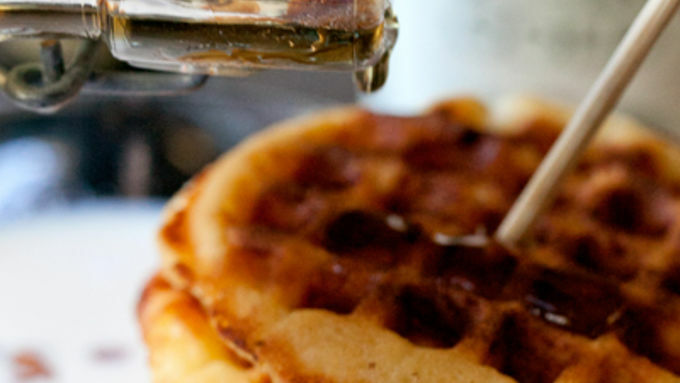 Dip the mini waffles into the drink for an added treat.